When it is meal-time, take your time to attune your senses to the food. Look at the food, smell the food, think about eating the food – take several deep breaths and take the time to quiet the mind. Chew the food very thoroughly, take time to rest after the meal and don’t rush back to work. Meditation is a wonderful skill to practice daily, which helps you enter the “rest and digest” mode more easily. The digestive system is the cornerstone of health, and so often we don’t think of the internal consequences of our stressed out, busy lives. 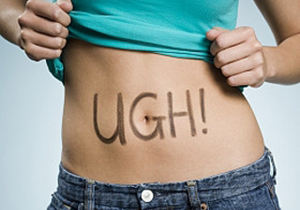 If you think stress may be affecting your digestive system, you can find out more by getting a Digestion Health Report – a stool test and report analysing your digestion from top to bottom!